My girlfriend and I made a trip the Pasadena library in 2012 to honor a couple of ex- major leaguers who were to be inducted into the Baseball Reliquary hall of fame…..Jim “Mudcat” Grant and Luis Tiant. Grant and Tiant had just been elected to the Shrine of the Eternals by the Baseball Reliquary. The Shrine, based in Southern California, serves as a kind of alternative Hall of Fame, with criteria predicated as much on a candidate’s place in social and cultural history as on what he does on the field. 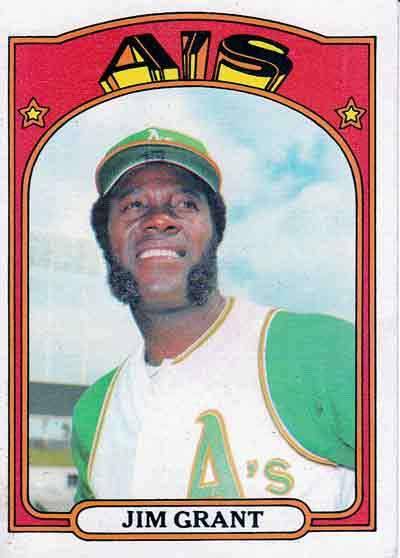 Rollie Fingers famously said he had learned how to become a reliever thanks to “Mudcat.” “I learned how to become a reliever from Grant,” Fingers told a reporter for Baseball magazine many years later. Fingers watched Mudcat attack opposing hitters by mixing his pitches, rather than relying on one dominant pitch. Fingers also observed the different ways that Grant warmed up in the bullpen, depending on the game situation and the inning. To his discredit, owner Charles Finley did not value Grant’s influence on Fingers, nor his ability to pick up outs in the late innings. So in a cost-cutting maneuver that smacked of his tendency toward cheapness, he released Grant. “Mudcat” later signed with the Indians, his original organization, and agreed to pitch at Triple-A in hopes of returning to the big leagues. But the promotion never came, and Grant called it quits after the 1972 season. I approached Grant and asked him for a couple autographs. He was kind and seemed genuinely humbled by his induction into a Hall of Fame that would receive little or no attention. I felt awful that he had to endure racism and an altercation with his bullpen coach in Cleveland because of it. I also felt elation that I was receiving an autograph from a great MAN instead of someone who could just simply throw a ball hard or hit a ball far. 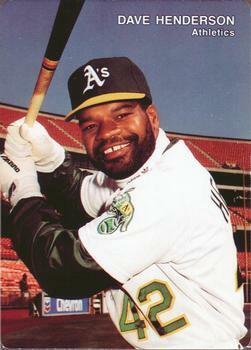 One of my favorite baseball cards of all time had new meaning to me. Mudcat was kind enough to sign an autograph for me in Detroit. I was about ten at the time and my jaw was on the floor. i wonder if these fellows really know that taking a moment with a kid will be something that he will treasure forever.